The Form IV National exam results were released earlier in 2019. 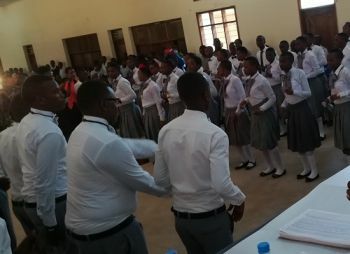 The school got a total of 8 Division 1 students, three of these students were sponsored. (Two male Visually Impaired students,and one female student). 37 students at the school got Division 2, of which 9 students were sponsored. Congratulations to Emmanuel, Maria, and Meshack who were our top 3 students, getting Division 1. 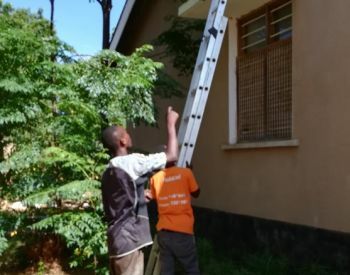 Towards the end of 2018 it was evident that the satellite internet feed that the school had used for a number of years was no longer meeting the school’s needs. Trust Representative David, an electrical engineer, was asked to research alternative internet provision. He recommended to the headmaster that the school should to use optical fibre internet as supplied by Halotel. 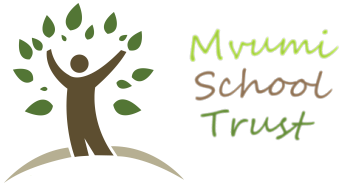 Two very generous donations from individuals in Europe enabled the Trust to pay for the roll out of the fibre into the school grounds. This year sixteen of our nineteen Form 2 sponsored students gained a Division I; and one of the remaining three gained a Division II. 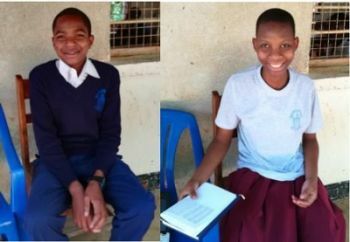 These are outstanding grades, and highlight the positive work that the Trust does in giving financially disadvantaged students and opportunity to gain a good secondary education. Emmanuel (on the left) was the top of Form 1 at the end of Term 1. He comes from Mvumi Makulu and was recommended for sponsorship by his primary school. Since January he has done consistently well. Mvumi Makulu is too far away for him to be a day student so he is Alpha boarding House. He is the class monitor. Mariam was fourth in Form 1 at the end of Term 1 and is the top ranking girl. She too comes from Mvumi Makulu and was recommended for sponsorship by her primary school. She is boarding in Sanctuary House. Fifteen Form 5 students started their A–Level studies as Trust sponsored students in Term 2, July 2018. All of them were sponsored through their O-Level studies, and gained good passes in their Form 4 National final examinations. We congratulate them on their success and welcome (in alphabetical order) Ayoub, Baraka, Emmanuel, Emmanuel, Erick, Evelina, Gladice, Jemima, Jesca, John, Joyce, Julius, Moti, Oscar, Saul, and Witness. The Form 6 National Exam results are out. Congratulations to Erick for being ranked third in Tanzania for students taking language and humanities subjects. He achieved a Div I pass with 5 points (the fewer points the better). 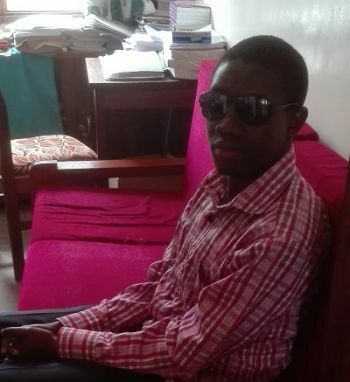 He is a blind student, who has been a member of the visual impairment unit for the past 6 years. He achieved an A in History and a B in Geography and English. An A grade is between 80 and 100, and a B grade is between 70 and 79. He is now applying to university to study Law. As he waits for University to start in October he is voluneering with the Visual Impairment Unit. We wish Erick well in his future career, and look forward to following his progress through University and beyond. 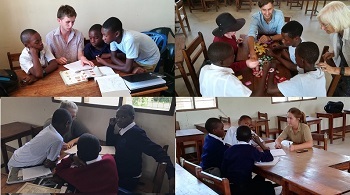 Tom Loup volunteered at Mvumi Secondary School during the latter half of Term 1 this year He was a gap student from Eton. 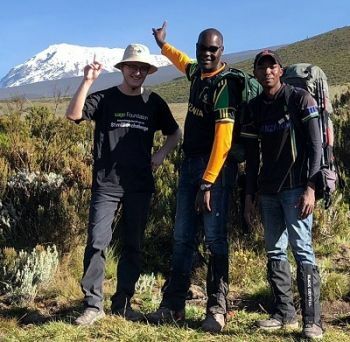 To raise money for the Trust he did a sponsored climb up Mt Kilamanjaro. He went with one other person and 2 guides. He integrated extremely well with the staff. He spent time with the school chaplain in religious education lessons, proofread documents in the Visual Impairment Unit before braille embossing, helped with small group English classes, converted teacher resource files to pdfs and added them to the e-learning system, assisted in the finance department, and other small jobs to help staff. Form IV National results for sponsored students were pleasing. The top 2 students were sponsored students.Six students at the school got Div I, 4 of these were sponsored students. Twenty three students at the school got Div II, 10 of these were sponsored students. Congratulations to Oscar, Ayoubu, Emmanual and John who were our top 4 students. It was great to have a number of visitors during the first half of term 1. Four of them had a small group of Form 1 sponsored students that they took for Extra English lessons for about 30 minutes, three times a week. The lessons were based around what the students were learning in class. This gave the students an opportunity to read, listen and talk in English. The students really enjoyed the small groups they were in. 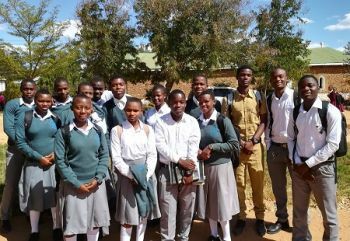 The tutors pictured here reported that all the students' English has improved over the time that they were at Mvumi Secondary School. The results from the Form II National exams held November 2017 were released in January. Twelve of our Rose and Bursary students gained a Division I, which is the highest divsion that students can get. The remaining two students gained a Division II. Three of the six equally-top achievers at Mvumi Secondary School were sponsored students, congratulations to Adamu, Alpha and Fanuel. All the students are to be congratulated on their hard work.